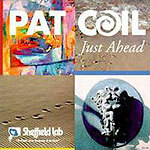 Pat Coil's light jazz/new age/world beat explorations on piano are a joy to listen to. The fact that this is on Sheffield Lab's label only adds to the moment: Sheffield Lab records everything live in the studio to two-track; no overdubs are ever used. It adds a certain spontaneity that, with the right artist, makes a good album that much better. And so it is with Coil. A special treat is the appearance of jazz steel drummer Andy Narell, sitting in on "Big Spring" (which has been getting regular airplay on the pop jazz and adult contemporary stations in Southern California). Coil is an expressive, introspective pianist, and his playing often crosses from popular to artistic, or combines the two. He is backed by strong musicians here, including saxophonist Gerald Albright, whose solo on "A Higher Road" is a particular highlight.